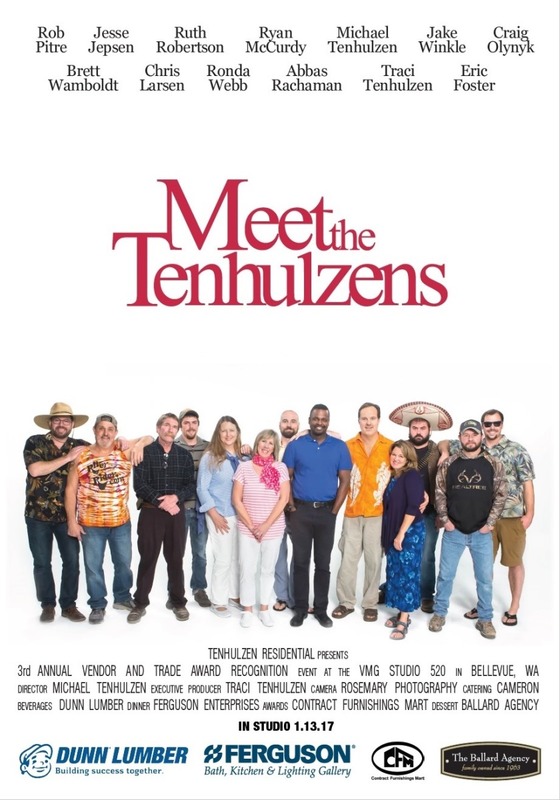 In 2014, Director Michael Tenhulzen was inspired to create an annual company photo in the form of popular movie posters. Ideas ranged from The Godfather to Avengers to Star Wars, with a couple romantic comedies in the mix. 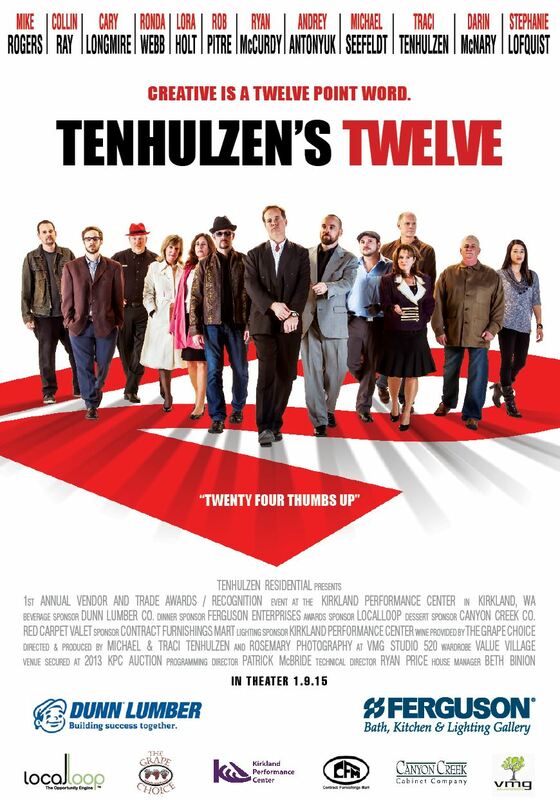 Last year’s “Tenhulzen’s Twelve” poster was the first of its kind. 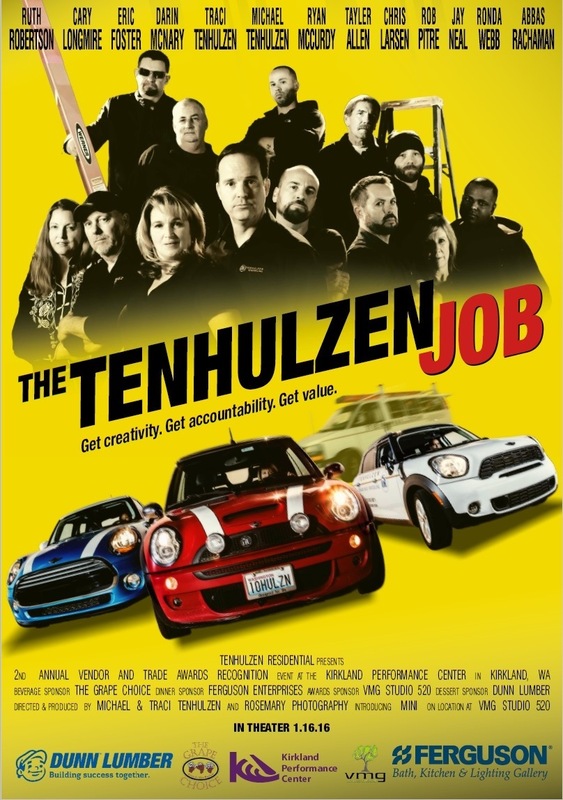 The finished poster is released at the Annual Vendor And Trade Awards & Recognition (AVATAR) event hosted at the Kirkland Performance Center. Sponsorships make it possible to offset the costs of putting on the production for the 150+ attendees and 7 awards categories. Food, beer and wine will be available throughout the event. 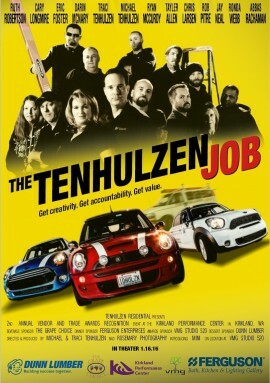 This year’s theme is “The Tenhulzen Job“, introducing the vehicles of TR. Want to attend our 1.16.16 AVATAR event @ KPC? We appreciate your request to attend this event. 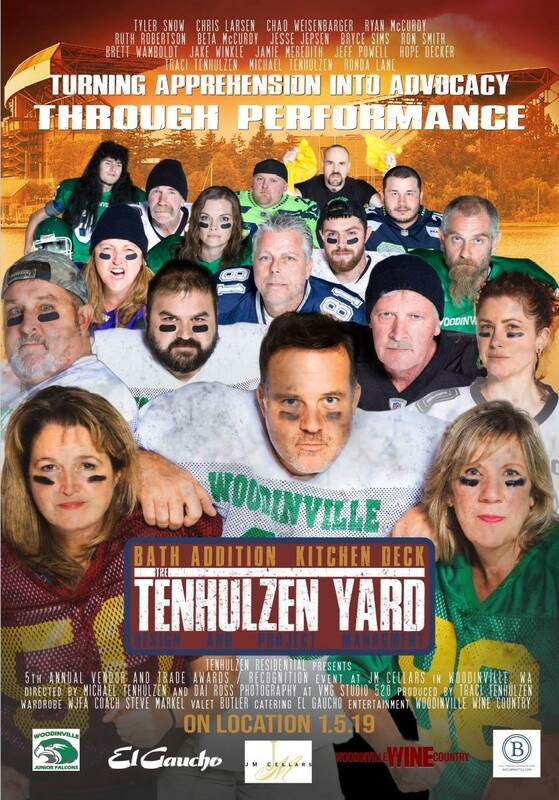 Your passes will be available on or before 12/30/15. We appreciate your partnering with TR for this event. Your request will be replied to on or before 11/30/15.